Special counsel Robert Mueller is pushing forward in his case against Paul Manafort after their cooperation agreement fell apart earlier this week, and prosecutors didn't rule out a second trial against the onetime Trump campaign chairman. “That determination has not been made,” special counsel prosecutor Andrew Weissman said, leaving the matter of a second trial open for consideration. Mueller, who is investigating Russian meddling during the 2016 campaign, accused Manafort earlier this week of lying to prosecutors after signing onto a plea agreement that mandated his full cooperation. But what Manafort is accused of lying about remains a mystery. In court on Friday, special counsel prosecutor Andrew Weissman told the court that Mueller would describe Manafort’s breach of the plea agreement in a future court filing. Judge Amy Berman Jackson of the U.S. District Court in Washington, DC, set December 7 as the deadline for that filing. 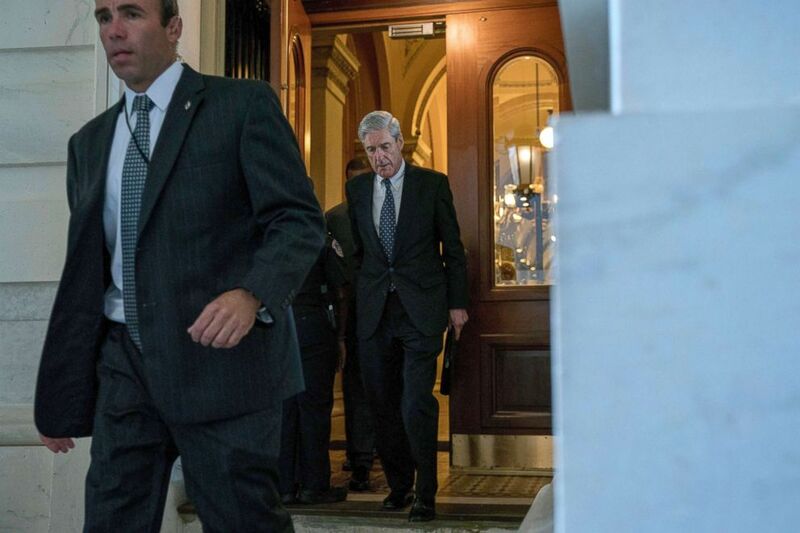 Former FBI Director Robert Mueller, the special counsel probing Russian interference in the 2016 election, departs Capitol Hill following a closed door meeting, June 21, 2017. On Friday, Manafort’s lead attorney, Kevin Downing, argued in court that defense counsel should be entitled to some form of discovery regarding claims that their client lied. The news reignited speculation that Manafort could be angling for a pardon from the president, a possibility that the president left open in an interview with the New York Post Wednesday. “It was never discussed, but I wouldn’t take it off the table,” Trump told the New York Post. Already at that point, a jury in Virginia had convicted Manafort on eight of 18 federal counts of tax and bank-fraud charges charges. The jury gridlocked on the remaining 10 charges, though Manafort later admitted his guilt to those charges as part of his plea deal in Washington. During the Virginia trial, prosecutors invoked his past work as a political consultant for pro-Russia elements in Ukraine and payments from political figures there in connection with the money laundering allegations he faced. He maintained those overseas relationships both before and during his stint as then-candidate Trump's campaign chairman during the 2016 contest. Manafort joined Trump's campaign in March 2016 and was elevated to the campaign adviser position in May of the same year. He departed the Trump campaign in August 2016 after reports appeared in the New York Times and Associated Press that suggested he had engaged in illegal lobbying activities in Ukraine. Manafort did not appear at Friday’s hearing. His last appearance was before the judge in his Virginia case was on Oct. 19. Then, he appeared in the courtroom in a wheelchair with his lead attorney citing "significant concerns" with his health. Manafort has been behind bars since the judge in his Washington case revoked his bail in June, and is currently being held in solitary confinement. He is set to be sentenced separately for charges in Virginia on Feb. 8, 2019. On Friday, Judge Jackson tentatively set March 5, 2019 as the sentencing date for the Washington, DC, charges against Manafort.